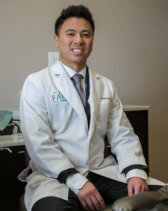 Dr. Davong has been a dentist for years and has been through several post graduate courses in different fields of dentistry. His emphasis on patient comfort as well as keeping up-to-date with the latest advancements in dentistry enable him to provide his patients with the best quality of care in the field. Dr. Davong graduated from Baylor College of Dentistry in Dallas, TX. He has a wide range of experience in different areas of dentistry, from cosmetic and restorative dentistry to surgical treatments and root canal treatments. His approach to your treatment starts with patiently listening to you. Then, after a complete and thorough examination, he reviews and discusses the diagnosis and treatment options with you. Zuleyma has lived in Royse City for most of her life, which is the place she calls home. Her two fluent languages are both Spanish and English. She enjoys getting to know every single patient and family member that she comes across. 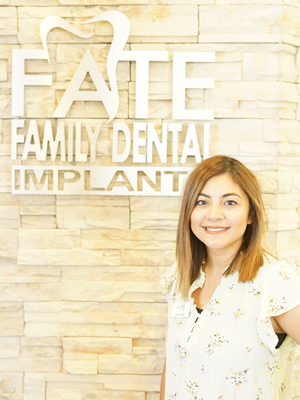 Her wide range of dentistry knowledge and skills has been very helpful to all her patients. On her spare time, she spends quality time with her family watching movies. She is a loving mother to her two adorable children whom are named Abraham and Anaya.